"suur" and "swart Suur"are actually two different things. 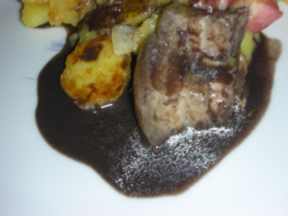 In the story, "suur" is a preperation method and "swart Suur" is a dish. Dishes with congealed blood are not uncommon. 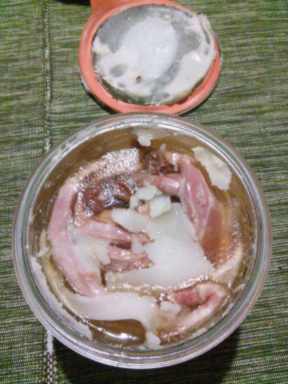 I have eaten dishes in China where the congealed blood is cut into chunks or long strips and served with tofu cut in the same manner and served in a soup or other dish. The red and white color makes an interesting color contrast. 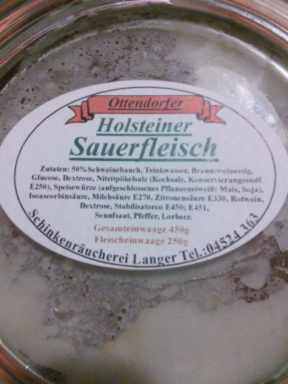 "Sauer" uses vinegar to prepare the meat. 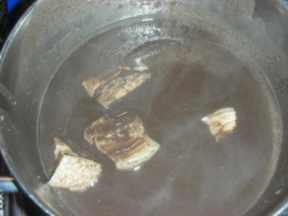 Blood is not used for this method of cooking. "Schwartzsauer" includes the blood and waste parts.